Can anyone help identify this font? 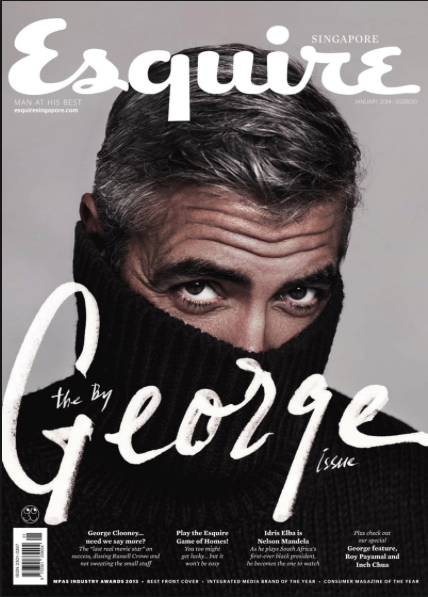 Cover of Esquire Singapore magazine in 2014, I'm trying to find the font used for the name George. It's clearly not a font, to be a typographic font the two lowercase "e" characters should be the same or at list not so different from each other. 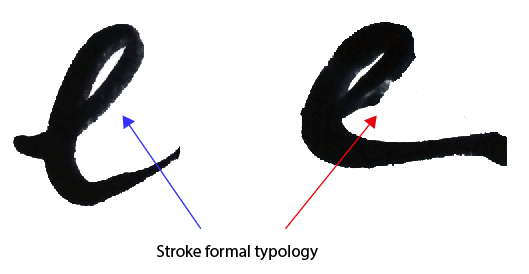 You can find something similar searching on Google "brush font" or "handwritten brush font". Too many differences to belong to the same design. Can someone Help me Identify this Font? Can someone identify this font? Can anyone help to identify this font?